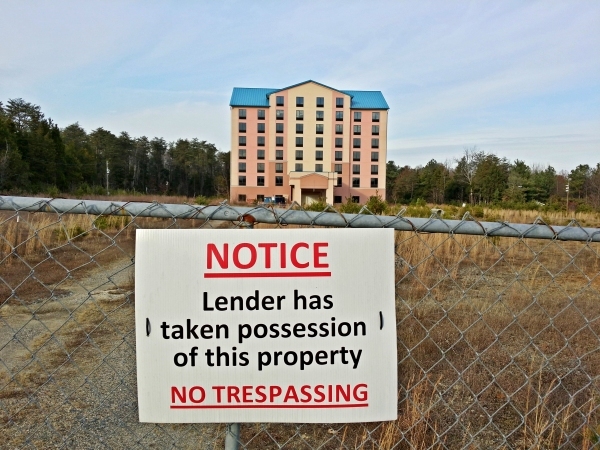 An unfinished Best Western hotel, after construction had been halted due to financial problems, in Thornburg, Virginia. Notes: Construction resumed on this hotel in 2015, and as of this writing is substantially complete, with new paint and stone facing on the exterior. The hotel will be branded as a Best Western Plus.